Asphalt repair in Austin is inevitable, because no matter how high the quality of your asphalt, over a certain amount of time all surfaces become damaged. There are many factors involved: fluids from vehicles, exposure to weather, the sheer weight of vehicles traveling across or parked on the surface, or a combination of all those. Once asphalt is damaged, it’s important to repair it promptly before the damage gets worse. Whatever asphalt repairs you need, you can rely on Bennett Paving Inc. to provide the highest quality work using the best materials possible. With over 15 years of field experience, we give an honest assessment of your needs and offer professional recommendations to get your pavement back to “like-new” condition. There may be nothing more annoying for a driver – much less for the owner of the asphalt surface – than pot holes. No matter where you live, pot holes are simply a fact of life. Eventually, you’re bound to be faced with this problem due to weather conditions and day-to-day wear and tear on the asphalt surface. The experts at Bennett Paving will make sure your pot holes are repaired quickly and permanently anywhere in our great city of Austin, Texas. Cracks in asphalt surfaces are very common. They’re usually caused by water and other fluids seeping under asphalt, weakening the surface. Once it’s weakened, cracks can form quickly. Just as is the case with any other type of damage, cracks in asphalt need to be repaired quickly. Bennett Paving uses only the best quality materials to make sure your cracks are sealed and your asphalt surface is looking like new again. Sometimes a completely new asphalt surface isn’t necessary at all. A technique called resurfacing can repair damaged blacktop paving, leaving it looking as good as when the surface was originally paved. Our paving experts will start by making minor repairs to the existing surface, then apply a new layer of asphalt to the original surface. Although we’re proud of the asphalt repair work our professionals do on many different types of surfaces, it’s important to remember that the surface won’t last forever. Eventually, it will probably need to be replaced. That’s the reality. But until that time, repairs are a good and cost-efficient way to temporarily resolve the problem. Don’t let just any contractor handle your asphalt repair project. Always choose a professional contractor, like the experts at Bennett Paving. We have many, many years of combined experience to offer our customers. We use only the finest materials and the highest quality of work possible, all at an affordable price. At Bennett Paving Inc., we’re proud to live and work in Central Texas. We serve communities throughout the area, including Austin, San Marcos, New Braunfels, Killeen, Georgetown, Kyle, Cedar Park, Round Rock, Temple, and Marble Falls. At Bennett Paving, you’re not just a customer – you’re our neighbor! 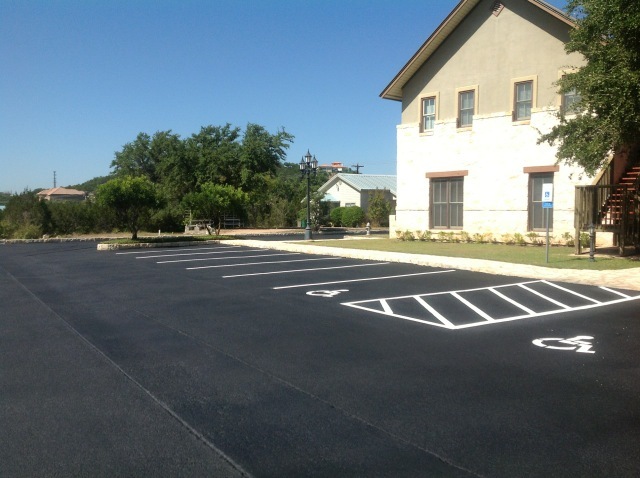 Call us today for a free quote for asphalt repair in Austin!